Volkswagen Motorsport India have introduced the new Ameo Cup race car for the new upcoming Ameo Cup 2017. 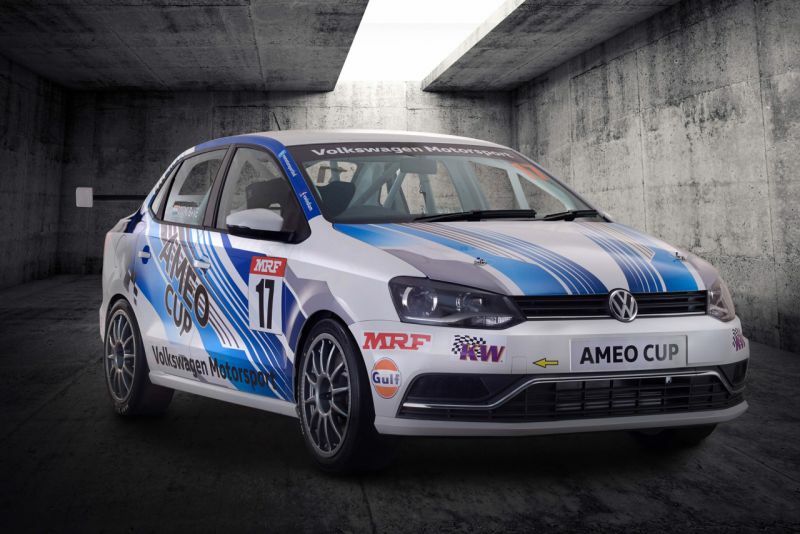 Following the success of the Vento Cup and Polo Cup, Volkswagen Motorsport India have introduced the new Ameo Cup which features a new race car which has been developed at the Volkswagen Pune Plant. The new race machine boasts some major upgrades compared to its predecessor, starting from the body shell all the way to the drivetrain, chassis and electronics. The Ameo Cup race car shares its body with the road version of the Ameo while it borrows the engine from the Polo GTI. It packs a 1.8-litre turbocharged inline four-cylinder engine that produces 205 PS and 320 Nm. This engine is mated to a six-speed sequential gearbox with steering-mounted paddle shifters. The ECU (Engine Control Unit) is completely new and has been independently calibrated and mapped to suit the new engine and the gearbox control system. The Ameo Cup race car is running a new suspension setup along with MRF 200/605-R17 tyres that have been specifically developed for this car. 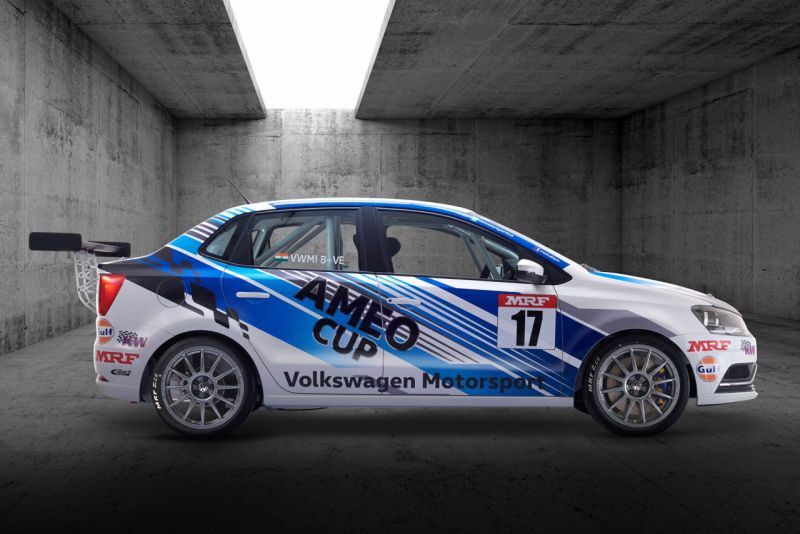 The new Ameo Cup racer is the quickest car produced by Volkswagen Motorsport India. Dr. Andreas Lauermann, President and Managing Director Volkswagen India Private Limited said, “Volkswagen is committed to motorsport in India and with our premium one-make series we have helped develop some of the best racing talent in the country over the past seven years. With the Ameo Cup we have embarked upon yet another year of exciting races and this season is especially noteworthy as the motorsport team has developed the race car from ground up at the Volkswagen Pune Plant. With this, we continue our commitment to the sport and make our intentions clear – to offer the best racing technology in India”. The Ameo Cup is scheduled to start in the month of June at the Kari Motor Speedway near Coimbatore followed by a few rounds at Madras Motor Race Track (MMRT) in Chennai and one round at Buddh International Circuit (BIC) near Greater Noida.